Today is a day where I will discuss and show findings for certain UNMISS report that is from UN Department of Safety and Security (UNDSS) and UN Mission in South Sudan (UNMISS) its numbered: ST/SGB/2007/06. 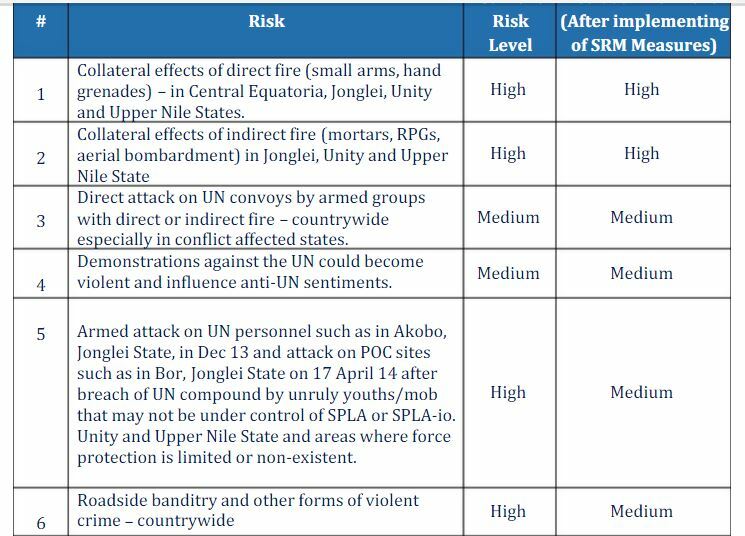 It is the United Nations Security Risk Assessment – South Sudan. It was approved 11th September 2015! And here are some interesting findings. I think the quotes speak for themselves! Supporting the implementation of the Cessation of Hostilities Agreement” (UN SRA SS P: 2-3). “Despite the attacks on the Akobo CSB and the BOR PoC in April 2014, that were more linked with the ethnic based targeting of South Sudanese sheltering within UN premises, generally speaking the UN is not a primary target for hostilities. Moreover, the UN is more often caught in crossfire during armed conflict and access is affected as a result of armed conflict. This will continue to be a risk”(…)“The fact that UNMISS hosts over 166,000 Internally Displaced People (IDP) increases the UN’s operational risk profile and reputation” (…)”PoC sites are volatile with the potential that the high level of tension amongst the IDPs may spill over in violent clashes. Staff members are therefore at a higher risk working within these sites” (UN SRA SS P: 3). 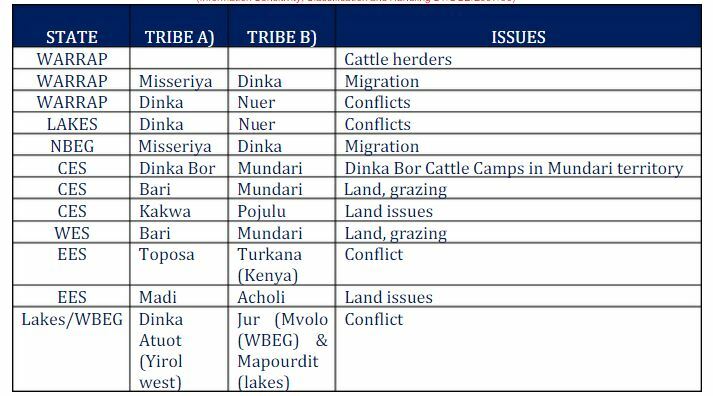 “The armed conflict, which is now in its second year, followed last year’s pattern where the dry season was fighting season enabling forces to take control of vast areas of the country. During the rainy seasons (July-Nov) the roads become impassable curbing direct clashes for the period. Even with the IGAD peace agreement signed in Juba on 26. August 2015, assessment is that the country security situation in 2015/16 will remain unsecure” (UN SRA SS P: 4). “Currently there is no mainstreaming of Security within the UN activities/ programmes. Therefore, the policy that defines that security needs to be involved at all levels of management to ensure security is considered/ mainstreamed into all the activities or programmes is not applied, specifically in UNMISS” (…)”Maintaining security training would enhance the functional expertise of all international and national staff although programme managers would need to receive training in order to learn the identity inherent and associated risks in a timely manner” (UN SRA SS P: 5). 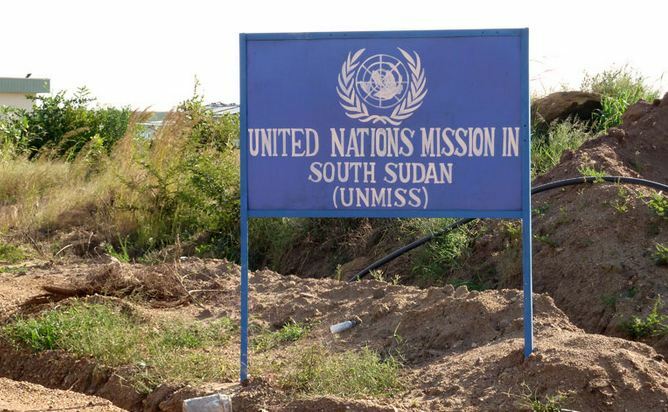 “Peace Operation: To help implement the mandated tasks, UNMISS will consist of a military component of up to 12,500 troops of all ranks and a police component, including appropriate Formed Police Units, up to 1,323 personell” (UN SRA SS P: 9). “Humanitarian programme assessments have indicated that, as the violence deepens, the humanitarian needs and risk to aid workers increases. 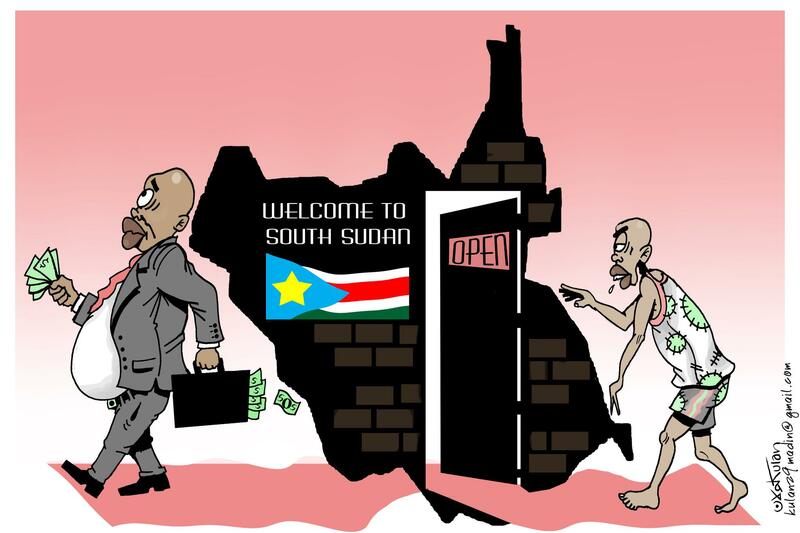 27 aid workers are presumed to have been killed in South Sudan since December 2013 and over 150 NGO staff are unaccounted for” (…)”In Juba, there have been a growing number of armed attacks against humanitarian compounds” (UN SRA SS P: 10). “At the height of the conflict large numbers of people split over the borders into neighboring countries seeking refuge in Ethiopia, Uganda, Sudan, Kenya and Abyei; these numbers stand at approximately 510,000 individuals” (UN SRA SS P: 13). “The increased risk specifically in Malakal and Bentiu would require an increase in the deployment of security staff and expansion of the collective security posture” (…)”As the rains of 2015 began to cut off supply lines, military offensives increasingly used riverine methods of transporting goods and fighters to the frontline. The method of delivery was also being used by humanitarian agencies to transfer large quantities of food to communities in need. In April 2015 a barge convoy hired by UNMISS to carry food and fuel supplies for the base in Malakal was attacked by RPGs and small arms fire , injured four persons. In July the government gave strict warnings that all river transportation should stop, further restricting aid delivery around the country. In September there have also been reported incidents of alleged attack on government owned barges and gunboats in Upper Nile State, the SPLA-io claimed responsibility ahead of verification” (UN SRA SS P: 14-15). “Since the beginning of the conflict (December 2013) until June 2015, there were a total of 594 security incidents involving IDPs in UNMISS PoC sites. Cases include serious assaults, civil unrest, mob violence, robbery, death threats and harassment, and several locations have also recorded serious disruption to humanitarian operation” (…)”Continued accusations by the government actors or affiliates that the PoC sites are a sanctuary for supporters of the SPLA in Opposition also make the PoC sites a target; this point was actively demonstrated in the attack in the Bor in April 2014 resulting in the death of 55 IDPs within the UNMISS site. Similar incidents have occurred near PoC sites in Juba, Bentiu and Malakal” (…)”An outbreak of cholera started in South Sudan on 18 May 2015 reaching total of 1718 cases [dates 4 September 2015], this rapid spread is largely affecting areas of the state capital Juba and also a separate smaller spread in Bor. One death have been reported at the PoC site in Juba with a total of 76 cases of people who contracted cholera inside the site” (UN SRA SS P: 16). “UNSMS will have to work much closer with the GoSS security agencies to ensure an improved security response to UN security related incidences” (…)”In Juba a “blue zone” was implemented to manage the locations which were approved by UN security for International UN staff to reside in based on accessibility to the area, crime rates and distance to UN base in case of relocation and emergencies” (…)”Where the UN has a presence Operational Zones have been created where security clearances are not required in all main urban areas to allow for improved access. This approach is underscore by risk management as opposed to a risk adverse approach, this concept needs to be maintained and where possible further enhanced or monitored” (UN SRA SS P: 17). “The disruption in oil revenues and devaluation of the currency as a result of the fighting has had a detrimental effect on the already weakened economy; government, civil servants, armed forces and police are having their salaries delayed. The breakdown in social infrastructure has reduced employment opportunities; creating desperation which has translated into crime” (…)”For example, the on-going cattle raiding and inter-clan revenge clashes that has been served in retaliation have devastated Lake States” (…)”Government officials have sometimes exacerbated tense situations with alienating remarks on their perception of the UN, often with accusations that the UN is favoring one side over the other within the conflict itself” (UN SRA SS P: 19). “Animosity grew when the government made accusations that the UN was harboring rebels within its Protection of Civilian (POC) sites. Direct and veiled threats to attack POCs became widespread” (…)”The effect of this was in April 2014 when “armed youth” attacked the UNMISS base in Bor resulting in the deaths of 55 IDPs and injuring many others including UN peacekeepers” (…)”On 26 August 2014 under suspicious circumstances a UN contracted helicopter crashed near Bentiu in Unity State, killing three (3) aircrew and injuring one (1) other underlining the threats involved in working within South Sudan. Investigations into the cause of the crash were inconclusive” (…)”In the middle July 2015 there are approximately 166,142 people saying in seven (7) UNMISS bases (UN SRA SS P: 20). “There is also notable internal political friction between the Central Government and the Equatoria States who have been calling for the greater autonomy via a federal government system. This has lead to local Equatorian communities feeling threatened and evacuating their families from the area” (…)”In Jonglei state” (…)” During rainy season in 2014 there were major skirmishes between the SPLA and SPLA-io reported in Jonglei. The SPLA-io has continued to threaten to fire upon aircraft flying in the areas, which were seven of the eleven counties during this period; the last threat was on 17 July 2014” Upper Nile” (…)”Several major clashes between the SPLA and SPLA-io have occurred; during one heavy exchange some stray bullets entered the UNMISS camp killing and injuring IDPs and causing structural damage to UN resources. All UN personnel remain concentrated in UNMISS camp including several agencies who had to abandon their own compounds” (…)”Unity State” (…)”To the west of Bentiu, UN staff previously based in the former Mayom UNMISS County Support Base (CSB) regularly were “caught in cross fire” incidents when the parties to conflict attempted to take control of the strategically important town, which is principally inhabited by Bul Nuer. UN Mission and Agencies Funds and Programme (AFP) staffs have become the target with regular ambushes, the demand for their trucks, and/or fuel and the forceful attempt to board UN flight by military” (UN SRA SS P: 22). “Also in the Upper Nile UNICEF reports that 89 boys were forcibly recruited by an unnamed armed group in late February 2015. They were takin in an area currently under government control, which is defended by government-allied Shilluk militia commanded by Maj Gen Johnson Olony” (…)”There are reports of an LRA attack in Western Equatoria State in March 2015 when one person was killed, the village was looted and eleven people were abducted but four were later released. This resuming of LRA attacks has increased fear amongst the population as the last attack in the 2012” (UN SRA SS P: 23). 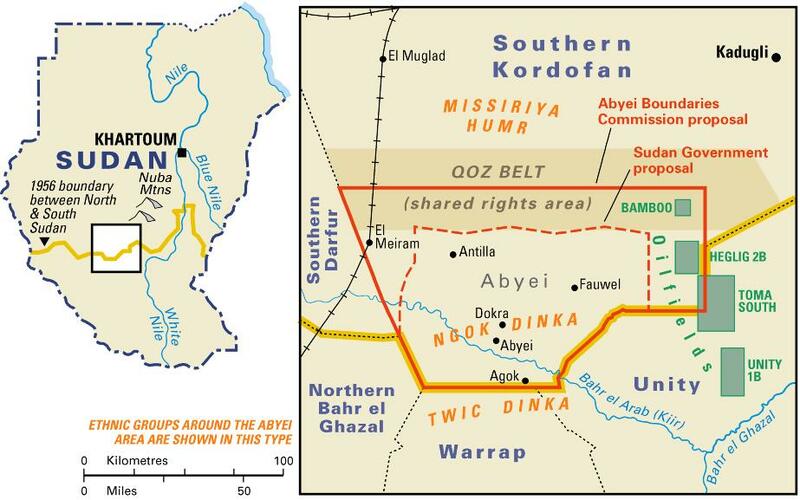 “The oil pipelines exit South Sudan in both Unity and Upper Nile State, oil is refined in Sudan before being exported. The potential loss of oil revenues affects both nations so good trade relations’ remains key to maintaining income” (UN SRA SS P: 23). “Currently the flow of refugees is affecting both countries as fighting affects the communities and so they move on, in Sudan the fighting in South Kordofan has created an influx of refugees into South Sudan and the fighting in northern Unity State in South Sudan has meant many refugees travelled north to refugee sites within Sudan” (…)”Cross border grazing & migration rights also areas of dispute as they host well-armed Sudanese Misseriya cattle herders who move around South Sudan in search of feed for their animals” (UN SRA SS P: 24). “South Sudan lacks an adequate air traffic control system, countrywide. The government took control of the country’s airspace from Sudan in 2011, but to date has not issued any “Notice to Airmen” (NOTAMs), There are areas, however, that the government has declared a “no fly zone” (i.e. over the Presidential Palace in Juba), suggesting that the government reserve the right to fire upon an aircraft that violates this airspace” (UN SRA SS P: 25). “Use of the River Nile for transportation of UN supplies and fuel has proved difficult with the government threat against all river travel by humanitarian agencies. With military supply vessels regularly travelling the river to the frontline it is not a safe option for delivery of humanitarian provisions” (UN SRA SS P: 26). “Communicable diseases in South Sudan constitute a major cause of morbidity and morality largely due to the limited access to clean water and sanitation being extremely poor with open defection rates, which reaches 60% in urban areas and 80% in rural areas” (UN SRA SS P: 29). “In regards to infrastructure, the entire country remains underdeveloped. Road and air mobility is seriously jeopardized especially during the rainy season where whole regions are cut off. Electricity, food and clean water supplies are scarce and seriously impact UN operations in remote duty stations” (…)”Due to poor road conditions in both dry and rainy season and lack of infrastructure there is a heavy reliance on UNMISS and UNHAS air assets for the delivery of humanitarian aid” (UN SRA SS P: 30). “The existing EU sanctions delivered in July 2014 had little impact on the de-escalating of the crisis, however further extensive UN sanctions were delivered in a tough UN Security Council Resolution on the 3 March 2015, the decision affects individuals through the freezing of their bank accounts and travel bans will affect all players who do not work towards peace and security. There is also an African Union (AU) report which has investigated human rights abuses last dry season which is completed but yet to be published” (UN SRA SS P: 41). “There is an increase of visible signs of South Sudan being a failing state: there is no free media, intimidation, by government security is commonplace, economy close to collapse and lack of provision or accountability of the civilian population by the state with most funds diverted to fund the war effort. Law and order is collapsing too, in some states wages have been stolen or simply delayed for months on end, in urban area reports of police becoming active criminals, local courts do not function and reports that crimes are committed due to perpetrators acting with impunity” (…)”Large numbers of IDPs rely on the security of UNMISS peacekeeping forces for their protection, however crowd control measures can never maintain order if the IDPs turn on their protector if the tensions rise inside the confines of the POC sites, the numbers are simply overwhelming” (UN SRA SS P: 42). It is all worrying even with the Peace Agreement between the SPLA/M and SPLA-IO which signed a deal with amendments and tokens taken off. The worrying path is the records and analyses that the UN and UNMISS is delivering in this report. The numbers of people that are fleeing from South Kordofan in Sudan and the ones fleeing South Sudan to neighboring countries like Ethiopia, Uganda and DRC is massive! Should be worrying and the way the air-space is not secured. Also the reports on how the seasons are changing and making it difficult to spread necessities like food through air should be seen as a GIANT sign that something has to change. Infrastructure that is gone during rainy season and the air-drops has to happen for no open roads. River Nile isn’t safe and is in the front-line and dangerous travel with transportation of necessities though that path. There are the issues with the skirmishes in different areas and also military assaults in the various states. Both between SPLA and SPLA-IO but they are not alone. There other military groups making it worse, also the report of even LRA has done damage in the country. Those also innocent children have been abducted and all the weakness of the security issues together with the fractions inside the SPLA making the reports and data on the ground more worrying. 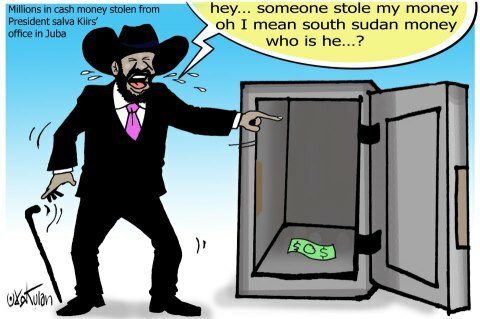 On top of it all the sanctions that has been put on the Government of South Sudan and it hasn’t hit the ground running, but been useless and if it does anything it’s been just a certain individuals that has lost bank accounts, but it hasn’t stopped the fighting or stopped small-arms coming to the country! There is so much more I could have put into ink and discussed because its powerful to see what the UNMISS is writing and discussing in the report. I have taken what I seen as main issues and fresh insights. I am sure somebody else would have taken more of the context and background into it, but that you can read somewhere else. Peace!